Global Executive MBA in Leadership and Management, MA in Educational Research and Evaluation, IPGD in Project Management and BA in Sociology and Social Administration are the qualifications Tedla would bring to UNICEF. 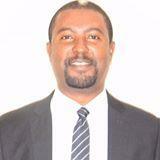 Currently, Tedla is working with Millennium Water Alliance ( MWA) as Ethiopia Program Director. In this role, Tedla provides strategic leadership in leading consortium member's effort in program designing and implementation. Amref Health Africa, the largest Health Development Organization in Africa, is the organization where Tedla has worked for a total of eight (8) years before he resigned as a Business Development Organization in 2016. Generation Integrated Rural Development Consultant, a World Bank funded programme and Hibir Integrated Community Development Organization are also previous employers of Tedla between 2003-2007. MWA is a consortium of leading US based International NGOs (World Vision, CARE, CRS, WaterAid, FH Ethiopia, Helvetas etc) working to improve water supply Sanitation and Hygiene in developing countries. Support members in documenting and sharing research, pilots, innovations and lessons learned. In this role, Tedla provided leadership to the country program in the absence of the Country Director. These included program leadership ( Health, Education and Livelihood), organizational development and human resources, annual financial planning and participation in East Africa Leadership meetings. As a member of Senior Management Team (SMT), I continually contribute towards developing shared vision about our country programme strategy and approach among all staff and volunteers, working closely with the Country Director, other SMT team members and Regional Programme Management and Funding team members. Identify potential project ideas in livelihood, Health and Education Programs. In line with the country strategy , I am responsible in the preparation of high quality concept notes and/or proposals writing. Keep track of emerging funding opportunities and support in-country donor management led by the Country Director. I coordinate the design and delivery of appropriate monitoring and evaluation mechanisms and ensure the compliance with internal and external ( donor, government) requirements in close coordination with the Regional M&E Manager and relevant Programme Managers. Engage and take forward various entry points identified with DFID, USAID, CIDA, EC, ECHO and other institutional donors and embassies in line with established country funding plan (CFP). This includes researching donor interests and funding patterns, attending forums and meetings for further networking and information sharing. Support and participate in annual budget preparation and Quarterly Business Review process. I work closely with programme and finance teams to ensure timely submission of quality narrative and financial reports as per the standards of the specific donors and in line with the contract. Lead on the efforts to raise the programme profile by coordinating the collection of human interest stories and visuals, production and dissemination of materials highlighting VSO’s unique contribution towards a range of development issues in country. Provided technical and managerial oversight in relation to business development of the country programme. Facilitated the overall growth and development of the programme, jointly with the Country Director, Deputy Country Director, HQ Technical Specialists, Programme Managers, National office (NOs) Programme Managers, and the Project Teams. Continually assessing and reviewed the responsiveness of the Programme area towards the Ethiopia Health Policy; HEP; other national health plans; Amref Health Africa Ethiopia country plan and the Amref corporate business plan; and VGC targets. Actively participate in Senior Management (SMT) and Program Technical Team (PTT) teams meetings. As a member of the senior management team of the Ethiopia Country Office, initiated and implemented several actions. As Secretary of programme technical team of the Ethiopia Country Office , played key role in providing guidance to the country programme development. Successfully managed internal and external relationships including those with donors, partners, and collaborators with full involvement of the Country Director. Tedla provided technical support to country programme on designing, management, monitoring and evaluation of capacity building initiatives. Tedla has actively participated in a number of national level taskforce endeavors in designing and developing manuals, guidelines and training materials. This include HEWs Upgrading module preparation, HEW package writing, Human Resources for Health Management training modules writing etc. He also, in response to request by Directorate of Capacity Building provides support in organizing and delivering Leadership, Management and Governance training that would contribute to improvement of LMG skill for midwifery managers. Tedla has coordinated the baseline capacity assessment of Amref Health Africa in Ethiopia office and the end line evaluation done by IFPRI focused on the WASH and SRH support provided by the Foreign Affairs of Netherlands government. As a member of various technical working groups at national level, Tedla represented Amref Health Africa in National HRH Forum, National Health Science College Forum, and National Human Resources for Health Management Technical Working Group, mHealth Interagency Coordination Forum and other ad hoc committees at a National level. Tedla played pivotal role in the design and implementation of the National Health Extension Upgrading program, development and management of several capacity building projects, actively involved in operations research of various types, baseline and formative evaluations at Amref Health Africa in Ethiopia. As a Project Manager, I have successfully coordinated competency based learning material writing workshops, made significant contribution as part of a team in aligning the national in-service trainings with the health work force development policy and guidelines, designed and coordinates the national capacity assessment of 20+ health science colleges. He has provided support to more than 22 Health Science Colleges and 6 Regional Health Bureaus in training of the trainers, shared best practices at various knowledge sharing forums like Canadian Network of NGOs (CANGO). Coordinated learning and knowledge management activities of the country office, Organize new curriculum design workshops in partnership with the Open University/UK, Document and share learning events for partners, Liaison with UNICEF Ethiopia, The Open University and FMOH in designing and implementing of training programs, Coordinate baseline studies, mid-term and final evaluations on Human Resource for Health, Oversee production, duplication and delivery of training material and equipment, training of trainers on identified knowledge and skill gaps, financial management, supervision and reporting were some of the roles that Tedla effectively managed to coordinate. Tedla played a pivotal role in conducting a nationwide needs assessment that documented the evidence to convince Federal Ministry of Health to consider distance learning modality to train community health workers in Ethiopia. Liaising with FMOH and RHBs by presenting the Elearning experience from Kenya, identifying opportunities for distance learning for health workers, organizing results dissemination and stakeholders workshop as well as developing strategy in collaboration with the Open University of UK has been the key functions of the post that he has delivered. Participate in baseline survey on health influencing behaviors, Lead the design and implementation of Medico-Anthropological, Socio-Anthropological and, Migratory Pattern Survey, Coordinate outreach programs to Pastoralist and agricultural communities, Coordinating gender sensitive workshops at the district level, Organize peer education and community conversation sessions on HIV/AIDS, Lead the design of health promotion materials, Proposal writing and appraisal, Financial management and reporting, Proposal development and appraisal, Advocacy work with community leaders and religious figures, Organizing research finding dissemination workshops. Tedla has provided leadership role for a multidisciplinary team in preparing integrated Woreda Strategic Plan, established and updating database for six districts of West Showa zone, conducted training needs assessment and delivered training on program management, financial management and reporting, contract administration and monitoring and evaluation for government staff and CSO staff. In doing so, I have led a team that succeeded in availing access to 26 water supply facilities in West Showa Zone of Oromia within 2 years. Tedla has coordinated the needs assessment on Non-Formal education in the rural villages of Tiyo district. He has effectively mobilized community resources to construct four education centres. This job has required the following responsibilities that Tedla managed to successfully coordinate: selecting Non-Formal Education sites, facilitating the construction of Non Formal Education centres, recruitment and training of Non-Formal Education Facilitators, provide supportive supervision of the teaching-learning process and, Monitoring and Evaluation of the overall project implementation. Training delivery for Children, Youth and Adults on prevention and Impact mitigation of HIV/AIDS as well as equipping trainees with Reproductive Health Life Skill, organizing discussion forum with community leaders, the youth and CSO representatives concerning HIV/AIDS with special emphasis on Gender Based Violence, health seeking behaviour, training peer-educators, training manual preparation and project proposal development has been the key responsibilities that Tedla was in charge as a Life Skill trainer. Monitoring and evaluation of the behaviour change among trainees had also been integral to his job responsibility. Mulatu T. (2003). An Assessment of Sociocultural Factors that Affect Female Academic Performance. Mulatu T.,Yousuf J.,Haregu T.,Seyoum D. (2012). Contribution of Traditional Birth Attendants to the Formal Health Sector in Ethiopia. Pan African medical Journal. Mulatu T. (2013). The Potential Role of mLearning in the Health Science Colleges of Ethiopia. Mulatu T. (2014). The Post-2015 Health development Agenda: What fits Best for Africa? Decisions that I make are based on the best information I have. Information I receive and analyse are usually used for a long period of time and not just at one point in time only. Though the relevance of information will depend on the time variable, at least I use it to analyse the trend and historical change over time. In the process of doing so, I give big value for collecting adequate perspectives, considering people’s opinion and tabulating it with the interest and policy of the organization I work for. If the decision needed to be made is not time sensitive, I keep on analysing, collecting and synthesizing information and data until a certain level of confidence is built in me and colleagues involved. Working together towards the achievement of a shared goal and objectives is critically relevant for delivering quality work. The interaction between team members is usually impressive when the level of trust build amongst team members is reasonably strong. Thus, the approach I follow to ensure the required level of working together amongst team members is building trust, enhancing honest relationship in the workplace and once often beyond the workplace through retreat. Working together ,however, faces different forms of challenges and what matters the most during such occasions is the process and readiness in managing the challenges. The leadership skill I have is greatly appreciated by employees, executives and partners I have been working with. At the centre of all this appreciation and the results its bore is my approach to look at issues, problems, opportunities and potentials from several perspectives. It is habitual for me to put myself into other’s shoes whenever I speak and interact. Moreover, a god understanding of the person’s group’s background I have, the more results it is going to bear for a common good. Thus, knowledge of a give phenomenon, situation and context as well as personalities is a critical factor that I use in my leadership. Within the framework of existing long-term plan (annual, bi-annual and quarterly), delivering results and encouraging and supporting other staff members to do the same is my responsibility in previous and current roles I have as a leader. Beyond the defined and agreed plan of deliverables, it is customary to encounter emerging issues and priorities that need immediate attention and follow up. These too however ned to have defined timeframe to expect results. Amongst the sensitive decisions that people make, and I take a great care not to include making unrealistic promises and plans. Thus, while delivering at pace is paramount importance and a requirement, putting a realistic timeline in consultation with work colleagues and responsible add a great value through maintaining the right quality dimension. The need to focus on a specific result area or deliverable is key to delivering at pace with accountability dimensions for its outcome. Tedla organised interviews for us for a BBC trip to Ethiopia. He is reliable, conscientious & knowledgeable. He listened carefully to what we needed and knew how to deliver it. He provided us with a lot of information and made the organization of our trip seamless. It was clear that he had good working relationships with other staff on the ground.